For information book online or call Jeff Bowman at 1.800.556.5884. When calling, mention MiamiBeach411. VIP South Beach is a insiders guide to the best hotels, nightclubs and restaurants in South Beach. We create personalized itineraries based on your individual tastes and needs. Guiding and making reservations for you at the best restaurants with the kind of food and ambiance you desire. 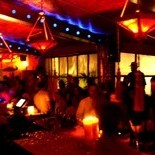 We can also put you on the guest list at the hottest nightclubs in South Beach on the right nights to be there. 1. The South Beach nightlife scene is always changing. There are always new hotels, nightclubs, lounges and restaurants opening. We at VIP South Beach know where to go, when to go and how to get in! 2. South Beach, Florida has many beautiful Art Deco hotels. Finding the right hotel that suits your taste is no easy task. We at VIP South Beach have been inside of every South Beach hotel and will personally assist you in finding the right hotel with the atmosphere and amenities you are looking for. 3. South Beach has many great restaurants. VIP South Beach will guide you to the best restaurants and make all your reservations before you arrive. WithVIP South Beach you will never have to worry about getting a reservation at the South Beach restaurant of your choice on the night you would like to be there. 5. Our service fee can pay for itself with discounted hotel rates, complimentary admissions, reduced admissions and complimentary VIP Guest Passes. 6. Our service goals are very high and we are confident in our ability to provide you with the ultimate South Beach Florida Experience! If you have any questions while you are here you can call us day or night. VIP South Beach will provide you with a cell phone number so you can call us after office hours for you convenience. 7. VIP South Beach will also take care of all the details in setting up private parties, bachelor-rette parties and corporate functions. 8 . VIP South Beach has been featured in Ocean Drive Magazine, South West Airlines Spirit Magazine and Florida Travel Magazine.